The Apostle Paul informs the Colossians that he had been praying for them since the first time he had heard of their faith and love. Paul had a very specific prayer and he goes on to inform them of the content. This prayer is beneficial for all of us to learn. It is a prayer that we should memorize in order to pray for ourselves, our family, our church, our friends, and even unbelievers. It is that each person would be filled with the knowledge of God’s will. Once a person is filled with the knowledge of God’s will, they will be able and willing to walk worthy of the Lord. We will focus on the cause and effect this morning as we unpack the Colossian prayer. What is being filled? Filling is of the soul. The soul is all that is within. Remember Psalm 103:1 from a few weeks ago, “Bless the LORD, O my soul; And all that is within me.” The next logical question would be, what is the soul being filled with? Answer, the knowledge of His will. The word "Knowledge" here is not the simple word that is most often used in the New Testament, it is the compound form meaning 'thorough', 'well-rounded' knowledge that one accepts into their own life situation. This thorough knowledge can be both salvific and sanctifying. We would need to know where this knowledge comes from if we are to attain it and we would assume that it can only be found in the Bible. Is there a Scripture that can back that assumption up? The best (and maybe only) verse that makes the connection between knowledge and God's Word is Romans 2:17-18 which says, “Indeed you are called a Jew, and rest on the law (Torah), and make your boast in God, and know His will, and approve the things that are excellent, being instructed out of the law (Torah).” God’s will is mediated through Torah (Scripture). I said that this Knowledge can be both Salvific and Sanctifying. Sanctifying: 2 Peter 1:2-3 “Grace and peace be multiplied to you in the knowledge of God and of Jesus our Lord, as His divine power has given to us all things that pertain to life and godliness, through the knowledge of Him who called us by glory and virtue”. This thorough knowledge is what initially brings us into a saving relationship with God and is what continues to sanctify us (sanctify meaning spiritual excellence). The phrase 'in all wisdom and spiritual understanding' is attached to the filling of the thorough knowledge of His will. 'In' means 'in the company of' as in Colossians 2:6 which says, “As you therefore have received Christ Jesus the Lord, so walk in Him.” We are to walk 'in company' with Christ Jesus. Wisdom and spiritual understanding are expressing the same, single thought and can be understood as spiritual understanding being the explanation of wisdom (wisdom, that is to say, spiritual understanding. Knowledge is worthless without “wisdom and spiritual understanding.” One can get learnedness (knowledge), but only God can give spiritual understanding. This brings me to one of my main points-it is my work to facilitate the knowledge of God’s will and it is your responsibility (and mine) to ask God for spiritual understanding. Reference: Proverbs 2:2-6 “So that you incline your ear to wisdom, And apply your heart to understanding; Yes, if you CRY OUT for discernment, And lift up your voice for understanding, If you seek her as silver, And search for her as for hidden treasures; Then you will understand the fear of the LORD, And find the knowledge of God. For the LORD gives wisdom; From His mouth come knowledge and understanding.” We must all CRY OUT for spiritual understanding, less we have attained knowledge in vain. The Cause is to be filled in our souls with the thorough knowledge of His will and the effect of that filling is that we may walk worthy of the Lord, fully pleasing Him. The cause and effect order is essential. Many ministers and churches attempt to skip the cause which is being filled in the knowledge of Him. Many try to skip to the last step of walking, but you must be equipped to walk worthy of the Lord. Remember 2 Timothy 3:16-17 “All Scripture is given by inspiration of God, and is profitable for doctrine, for reproof, for correction, for instruction in righteousness, that the man of God may be complete, thoroughly equipped for every good work.” Our objective is to walk worthy of the Lord, fully pleasing Him by being fruitful and increasing in the knowledge of God. Being fruitful in every good work means divine work that is by faith. Increasing in the knowledge of God is progress by interval. It doesn't all come at once. Notice the change here. It is not the 'knowledge of God's will' it is the 'knowledge of God;' His person, character, integrity, and expectations. The more you know of His will the more you know of His person. The next part of pleasing the Lord is done by being strengthened in order to be patient and longsuffering with Joy. Patient (endurance) is a word meaing to be able to endure difficult circumstances and Longsuffering is a word meaing to be able to endure difficult people. 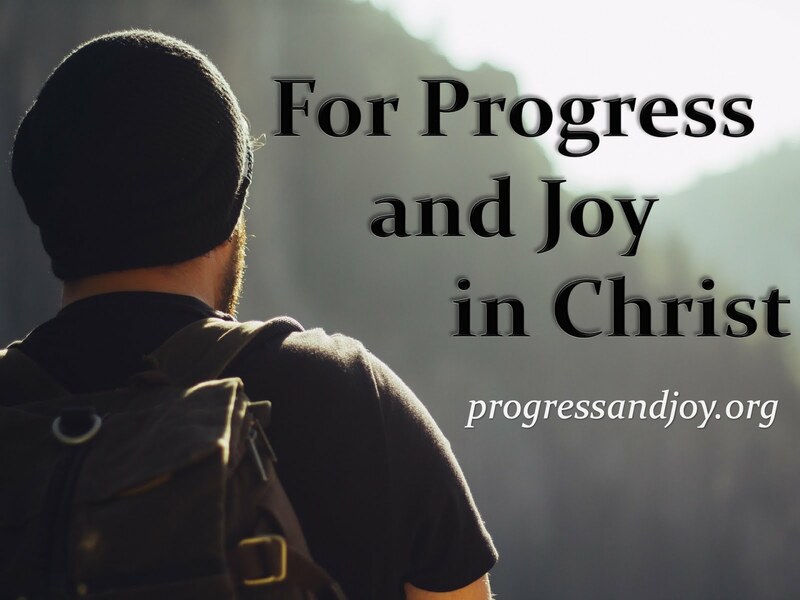 And both can and should be done with Joy, which is why we need strength and power from God. It is one thing to grit your teeth and endure difficult circumstances and people, but it is another thing to do it with joy. Lastly, we are to Give Thanks to the Father because of the redemptive work that He has accomplished in Christ. The Father has qualified us to be partakers of the inheritance of the saints in the light. He has delivered us from the power of darkness and conveyed us into the kingdom of the Son of His love, in whom we have redemption through His blood, the forgiveness of sins. When a Christian is filled with the Knowledge of God’s Will then they are equipped to walk worthy of the Lord, fully pleasing Him which is to be fruitful, increase in the knowledge of the person of God, to be strengthened, and to continuously give thanks to the Father. Knowledge = Walk. This is a satisfaction guaranteed prayer. 1 John 5:14-15 reminds us that “this is the confidence that we have in Him, that if we ask anything according to His will, He hears us. And if we know that He hears us, whatever we ask, we know that we have the petitions that we have asked of Him.” What better prayer is there that is in accordance with His will than one that is taught in Scripture? We can pray this for ourselves, our family, our church, our friends, and even unbelievers. We can pray that each person would be filled with the knowledge of God’s will. And remember that it is my job to facilitate the knowledge of God’s will, but it is vain knowledge unless you Cry Out to God for spiritual wisdom and understanding. I challenge each one of you to memorize this prayer and at the very least to pray it for this church, for yourself and family, and pray it for me.